It´s that time of the year… EAVE Marketing Workshop reloaded: APPLY NOW! Don´t miss the opportunity to take part in one of the most insightful industry events of the year. Think ahead and put your audience at the forefront. From targeting and positioning to international sales strategies, passing through the elusive art of good PR, the EAVE's Marketing Workshop is a hands-on four-day marketing training. A unique opportunity to answer all your marketing questions and learn about the latest trends and tools from leading industry professionals. “Definitely the most hands-on-workshop I’ve ever attended." Participants can apply with or without a project at any stage of production to work with cutting-edge marketing specialists, such as Alya Belgaroui-Degalet (Wild Bunch – international sales) and Sarah Calderon (The Film Agency – marketing consultant) as Heads of Studies and contributors like Michael Arnon (Wolf Consultants – PR), Boris Pugnet (former Head of Marketing at Le Pacte / Editor at Turn Right) and Sally Hodgson (PIPOCA, UK). The workshop is targeted at producers as well as professionals working in sales, distribution and marketing departments. We also welcome applications from related areas of the industry (e.g. regional and national funding institutions, film festivals and markets etc.) and from relevant trainers and consultants. Get ahead with your marketing knowledge and network and share experience with professionals from all over the world. 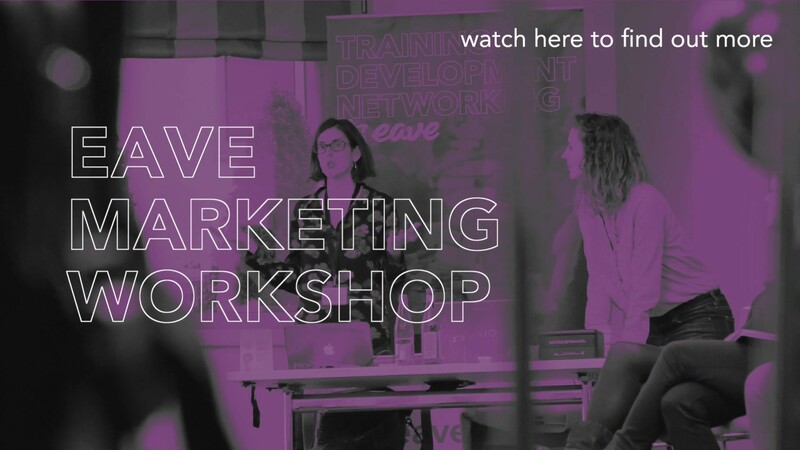 The EAVE Marketing Workshop will be joined by 4 graduates of the renowned EAVE Producers Workshop, who have trained over one year as specialized marketing professionals. EAVE is also proud to announce new partnerships this year. We will select projects from Warsaw Kids Forum, Financing Forum for Kids Content Malmö, Thessaloniki Crossroads, CEE Animation Workshop and LA INCUBADORA. Europa International, Europa Distribution and EAVE graduates will benefit for special discounts. Application requirements and the application form can be downloaded on our website! Page published 13 August 2018. Updated 14 August 2018.